This is a blended malt from Douglas Laing to replicate the salty, fishy flavours of Island whiskies. Nose: Very coastal, salty, sea spray, mineral, rock, toffee. 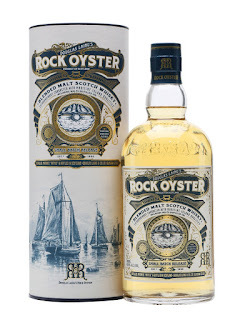 Taste: Salty, coastal, some mineral, toffee, vanilla, very salty. Finish: Long length. Very salty with some oak. Notes: Blended malt from Arran, Jura, Orkney and Islay. Never had such a salty whisky!